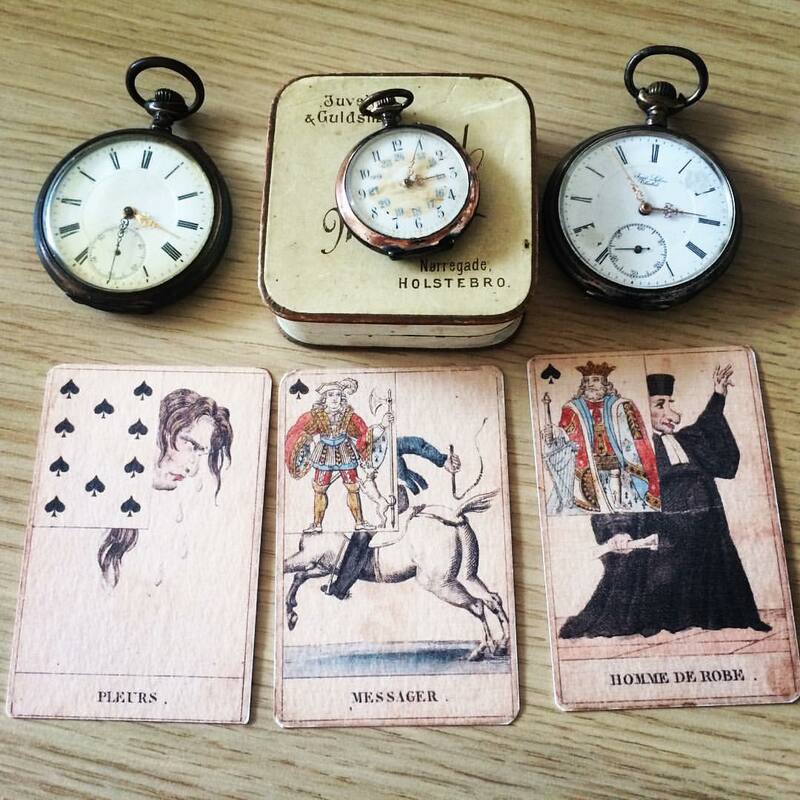 Some of my most popular posts here on Taroflexions are the ones about the Lenormand cards. My own favorite is the grand tableau. So far I have been writing with the aim of demonstrating how exacting and exhaustive we can be in our interpretations, but today I want to offer something else. As I still have the notion of cards and magic on my mind, explored in my latest book on principles of magic with cards, I thought of doing something similar here with reference to the grand tableau and how we can devise some rituals around the grand picture. I’ll do this with a list of steps, as an alternative to the method I have offered elsewhere, which many have enjoyed already. Thanks all for following since then. Locate the card of the Heart. Where are your DESIRES planted? Are they fulfilled? Look at the intersecting point between the cards of the Heart and the Rider. What news befalls your heart? Of necessity or abundance? What do you hunger after? Plan a ritual around these cards that will turn despair into joy. Locate the card of the Sun. Are your SPIRITS high? Is your wealth glorious? Look at the intersecting point between the cards of the Sun and the Fish (for abundance) and the Sun and the House (for safety). Plan a ritual around these cards for protection and prosperity, and to preserve what you already have. Locate the card of the Moon. Is your EMOTION strong and rewarding? Is your work recognized, or are you self-deluding? Look at the intersecting point between the cards of the Moon and the Stars (for deep desires and aspiration) and between the cards of the Moon and the Flowers (for receiving radiance that reflects back and mirrors others’ desires). Plan a ritual around these cards that will give you clarity on what to do after your goals have been met. Locate the card of the Ring. Is your PARTNERSHIP fulfilling, or do you want more? Look at the intersecting point between the cards of the Ring and the Anchor (for commitment and determination) and between the cards of the Ring and the Garden (for receiving feedback that flows with ease and grace). 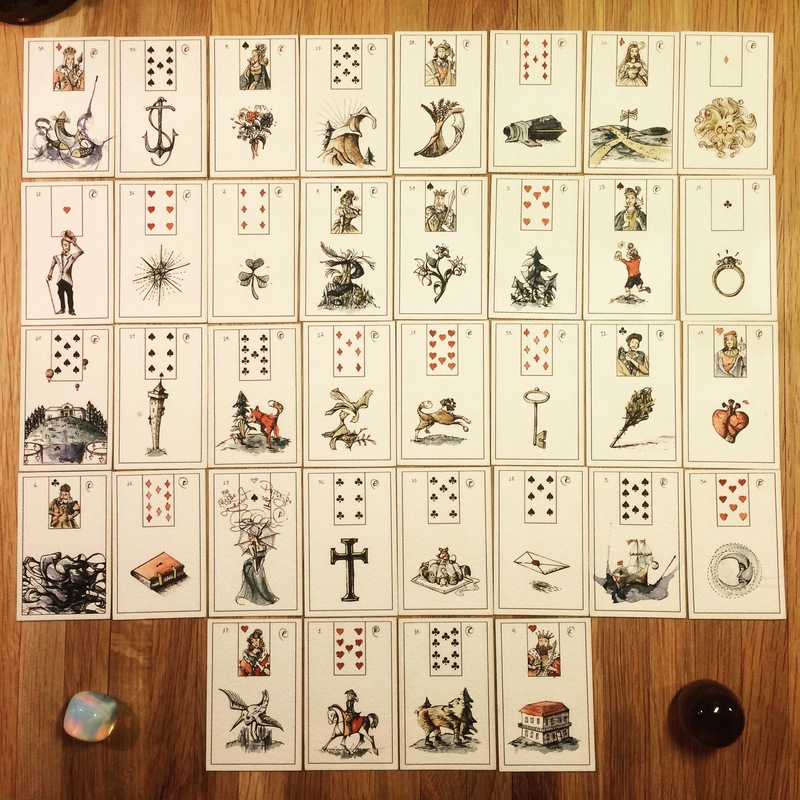 Plan a ritual around these cards that consolidates union and fortifies relationships. Locate the card of the Tower. What IMPRISONS you? If you’re elevated above the ground, do you enjoy what you see? Are your high perspectives ‘reality’? Is your distancing still grounded in experience? Look at the intersecting point between the cards of the Tower and the Coffin (for fear of flying) and between the cards of the Tower and Clouds (for depression and anxiety). Plan a ritual around these cards for release from incarceration and captivity. Locate the card of the Clover. Is your FORTUNE up or down? Look at the intersecting point between the cards of the Clover and the Key (for instant solutions that will turn your luck around) and the Clover and Dog (for unexpected relief and loyalty from friends). Plan a ritual around these cards that will weave a new course of action and fate for you. Locate the card of Bear. How is your COURAGE today? Are your convictions strong, or are they faltering? Look at the intersecting point between the cards of the Bear and the Book (for knowledge and stamina) and between the cards of the Bear and the Lily (for victory and acting from clear conscience). Plan a ritual around these cards for strength and grace, and to remain steadfast in your agreements. The rituals that I myself create around cards are inspired by different magical traditions: folk magic, ceremonial magic, chaos magick, Quimbanda, Santeria, and Palo Mayombe magic, Vodou and Hoodoo magic, Balkan magic, Vajrayana magic, and stellar magic. While this may sound like a lot and all over the place, the truth is that if you can keep the focus, then you’re set. When my mind wanders, I laugh at my slowness and get back on track. That’s the function of ritual. To keep your focus and nothing else. As with all the readings of the grand tableau, what keeps you close to what you need to achieve, when we talk about cards performing a function besides the divinatory, is your declared intention. As with the question, so with the intention: The more concrete and specific the intention, the more concrete and specific the magical results. Intention and motivation are more important than even what you think is ethical. So, before you proceed, think of what your motivation is. 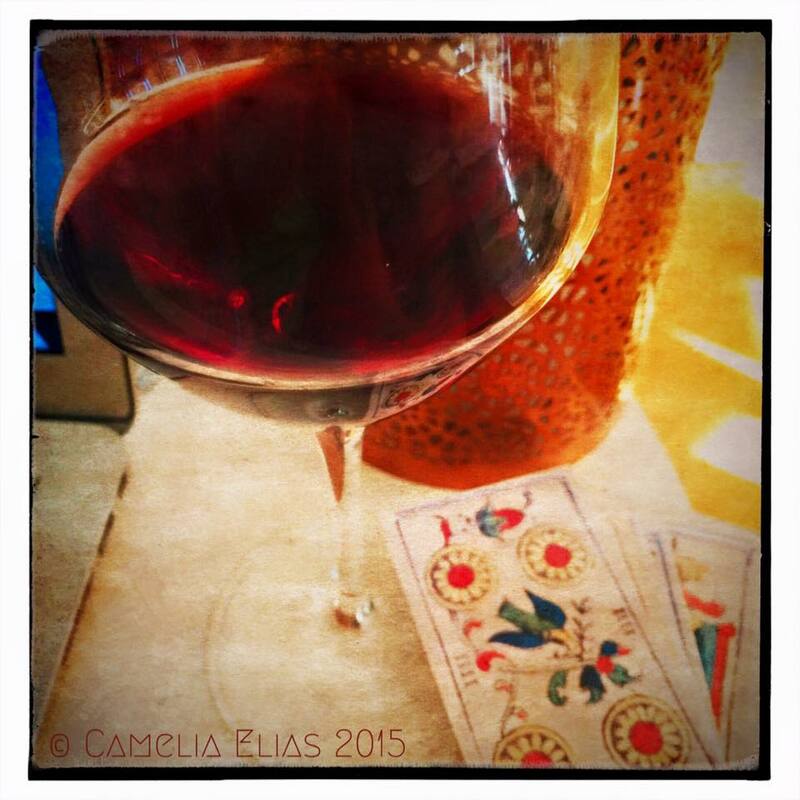 In my work with cards and Zen I teach nondual awareness. What this means is basically that in my practice I deconstruct all language, and all conceptual frameworks for all thinking. I create awareness of space, of going beyond. The truth is that I don’t. Insofar as god, spirit, Legba, Lucifer, or Mahakhala are all words belonging to the conceptual realm, they are subject to perception. Perception is just as shifting as thoughts. Hence, it has no substance. So I don’t operate with belief. Where would I find the reference point for any of my beliefs, if I were to entertain any, outside of my own mind? See, in this question, I’ve already surpassed its million dollar value. What I operate with is instrumentality. The stuff that gets us to where we can create more space, de-clutter and dissolve all illusions. What I like about ritual is its functionality, not its ‘truth’. Truth is the necessary rejection of the false, the fictionality of words. So obviously I don’t practice magic because I ‘believe’ in it. I practice magic because it helps me reject consecrated ideas. I practice magic because it helps me dislodge all my habitual patterns of thinking. I practice magic so that I can create empty space, free of attachments. That’s what ritual does for me. It reminds me of the significance of not ‘holding space’, but rather, of dissolving the illusion of space being solid, marking ‘my’ place in the world. I believe in no such thing. Consequently, as far as I’m concerned, one way of challenging and awakening my creative genius is by going beyond describing magical or cartomantic traditions according to anyone set of beliefs. The best magical working is found in the ways in which we can combine different methods of sharpening our awareness across traditions and make these methods relevant for our collective, lived experience. Stay tuned for upcoming cartomantic activities. Join the The Art of Reading, and get the free crash course, Read Like the Devil. Love the idea of the course. I want to do snappy 3 card sequences. Want to get an intro to magical traditions. Will have to buy a T-shirt, though, since I don’t own any. It’s so interesting that you’re working on this right now; very interesting coincidence with what’s going for me personally. Cool. That’s the way to go. Buy the finest cotton T-shirt you can find. No synthetic stuff in it. We only deal with the raw power. And, as they say, there’s no coincidence. When coincidence happens, it simply means that you’re on a magical track. So, congratulations. I shall be delighted to run this for the properly primed folks. Happily queuing up right now to be a part of this when you launch it! Awesome. I look forward to some serious magical playing here. I’m interested! In the process of reading your awesome book, The Oracle Travels Light. I hate reading and can’t put it down. Many thanks, Gunnar. I’ll send out more info in due course. This was just a sounding. I would love to do this as well! Heh, cool you want to be in this forum too. Hi, love your work; would also like to take part. Excellent, Joe. Good to know, so I can plan accordingly. Thanks. One aspect of Denver I miss is regular Meetups on Lenormand. This blog offers many ideas to help me connect to those cards again.